Searching for the best travel backpacks or best travel suitcases requires that you know your personal needs and what you are looking for. Since backpacks come in many different sizes, shapes, and colors it is always best to consider multiple options and prices before you make your decision on which one to purchase. 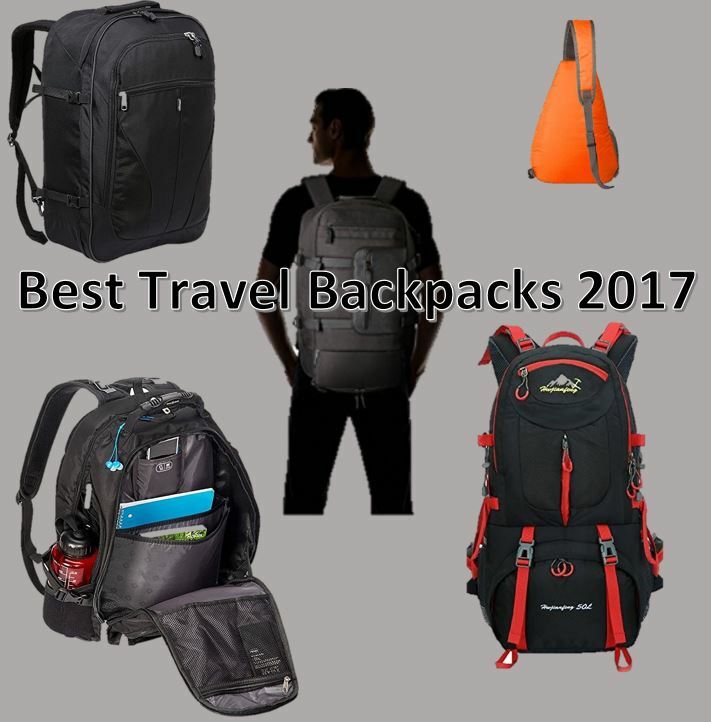 If you are looking for the best travel backpack that will fit your budget and personal needs, I have compiled some of the best travel bags below so that you can pick and choose among many of the best options and reach and educated decision before purchasing anything. As I had discussed in my best travel gear 2019 post, the Tavik Sett Travel Backpack is my go-to backpack since it is capable of holding everything necessary for full-time travel (30 liters), it doubles as a duffel bag, contains a separate shoe compartment, doesn’t need to be loaded from the top, and is all-around so much better than any backpack I have seen so far. It truly is the best travel luggage on the market. Hybrid-style backpack capable of being converted into a duffel bag easily. Not the most affordable backpack. Gives you enough space to store all of the belongings necessary for full-time travel. 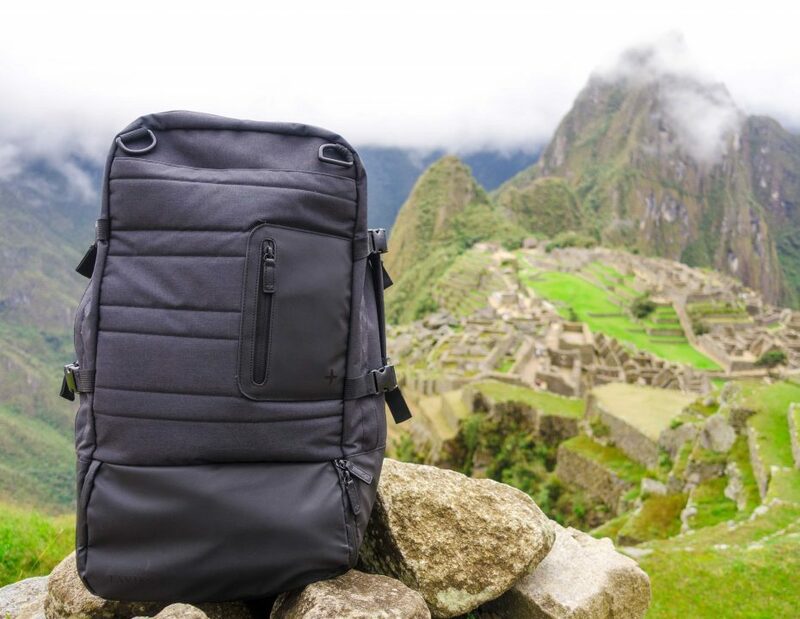 This backpack measures 22 inches high and 17.5” inches wide, making capable of fitting most laptops and electronics that you will carry with you around the world. It also opens like a suitcase and has a separate shoe compartment, which are both very nice luxuries for full-time travelers who want to use a backpack instead of a roller suitcase. Click here for the best prices. If you are looking for a backpack that is lightweight, you will need to sacrifice some of the bag liter capacity in order to ensure that the backpack stays light on your back. With around 35 liters and less than a pound of weight, the Venture Pal Lightweight Packable Backpack is perhaps the best lightweight backpack option available. Capable of folding down to 8.5” x 9” x 2.2” naturally and easily. The normal size is 20” x 13” x 7.5” Not that many pockets. Mesh shoulder straps help to make items feel much lighter. Several different colors to choose from at no extra cost. Although it doesn’t have some of the fancy features available on more high-end backpacks, you can’t get a much better lightweight backpack for this price. Since it can be folded down to a handle bag that only measures 8.5” x 9”, this backpack also doubles as a hybrid backpack which can be folded down to a much smaller size. Click here to check the best prices. Capable of being used for everyday commuting, hauling, traveling for short trips, or just about any sort of event where you need to easily store and carry around your things, consider the NeatPack Canvas Sling Bag if you want a backpack that is extremely versatile. This backpack provides instant cell phone access, water-resistant material, RFID blocking anti-theft pocket, and a one-strap design that makes it easy to carry around for any event. One strap design is easy to carry around and provides easy cell-phone access. Full-time travelers might not want to have a backpack with only one strap. Anti-theft and RFID blocking pocket helps secure your assets. Can easily be used for a wide variety of activities, including travel. This backpack can be worn on the front of your body or the back of your body comfortably. Many people will wear their backpack on the front of their body in crowded areas so that they can keep their eyes peeled for pickpockets. When you are traveling, the last thing you need is to have your wallet, or another similar item, stolen. Click here to check the best prices! With over 50-liters of space, 9-pockets, an included rain cover and a waterproof design, there aren’t too many hiking backpacks that can compete with the Huwaijianfeng Hiking Backpack. This backpack will make you feel safe out in the middle of nowhere with electronics and other items that can quickly be ruined by natural elements. 50-liters of space provides space for you and your friends while hiking. Great backpack to use if you want to switch off carrying gear. You might prefer to purchase a smaller backpack if you like hiking by yourself. Included rain cover for emergency use. Mesh ventilation helps you stay cool while carrying the backpack. Can be ordered in three different colors: black, blue and orange. If you want a hiking backpack that will withstand some of the harshest weather conditions and protect your electronics from the rain, this is a great option to consider. It can also be used for camping and long-term trips which require you to hold plenty of stuff. Click here to see the best prices. Going on a short trip likely means that you don’t need much space in your back. However, short trips might often be camping or outdoors-related trips, making it important that you get a small, easy-to-carry bag that is also capable of withstanding things like rain. The Coreal Short Trip Cross Body Backpack is waterproof, lightweight, and made with nylon material. One strap design and 10-liter design is suitable for short trips. Only comes in orange or green. Is waterproof and lightweight. Not for full-time travel. Although it only has 10 liters of space in the bag, short trips for less than a week shouldn’t require any more space for things. At the end of the day, all you will need to pack into your bag is clothes and personal items and you really shouldn’t carry around a large bag if you aren’t even going to be traveling for a long time. To see the best prices click here. Hybrid backpacks are worth considering if you want a backpack that can easily convert into a duffel while offering plenty of space and other features that are attractive. One of my favorite hybrid backpacks is the eBags eTech 2.0 Weekender Convertible since it functions very similarly to a suitcase while still having the look and use of a normal backpack. Can be used both as a duffel bag and a regular backpack. Not as affordable as other backpacks in this category. Open up similar to a suitcase and makes good use of the interior space. Comes in black, red, or olive colors. Although this backpack isn’t as affordable as some of the others on this list, its wide range of features and space makes it stand out as one of the best options to consider. If you are always on the go and are looking for a quality hybrid backpack that is more affordable than the Tavik Sett Travel Backpack, this is your best option. For the best prices on this bag, click here. In my opinion, the most durable backpacks on the market are made by SwissGear simply because of how many steps this company takes in ensuring that their bags will last a long time. For instance, the SwissGear Travel Gear 1900 Backpack is made with 1200D ballistic polyester which is capable of handling misuse, drops, and accidents that most backpacks simply can’t compete with. 1200D ballistic polyester is abnormally tough against scratches and other damages. Many different pockets make it easy to briefly lose items in your backpack. Durability that outmatches other backpacks in this category. TSA-friendly laptop and/or tablet storage. To be penetrated, the outer material of this backpack would have to be stabbed pretty hard by a sharp knife, making it safe to carry around otherwise dangerous areas without worrying too much about protecting your investment. It is also very easy to use with TSA security due to its ScanSmart lay-flat technology which can be used with laptops up to 17” long. This bag can be found here. If you are searching for the best travel backpack, you should really consider buying the Tavik Sett Travel Backpack. It is my personal favorite backpack, and I know that any other full-time traveler will love it just as much as I do. If you want to research more about the best travel backpacks 2019 has for us, feel free to continue searching around in local and online stores until you find the one that is best for you. 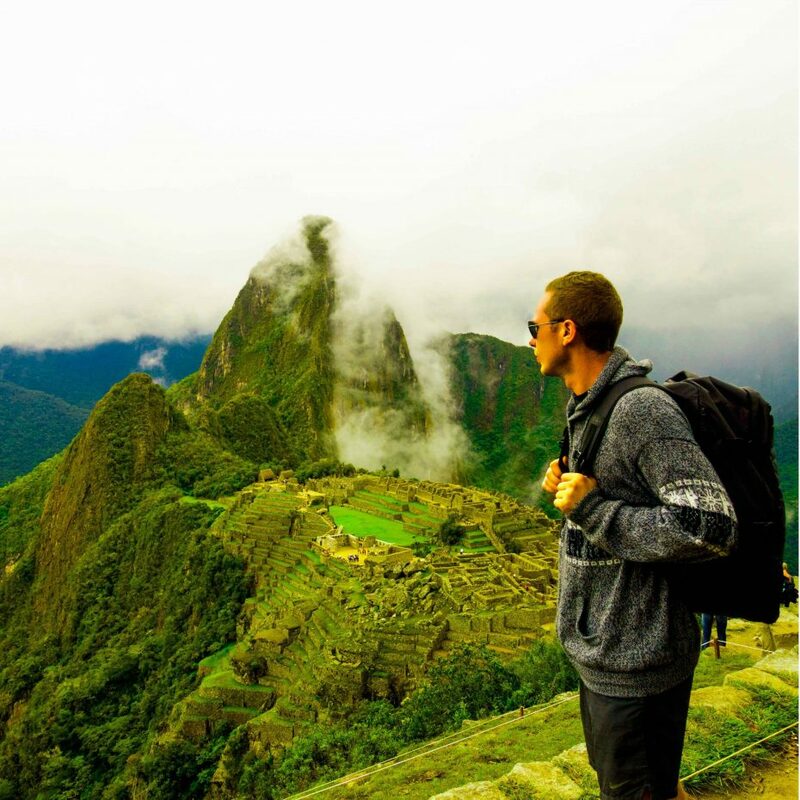 You can’t go wrong with any of the above backpacks since they truly are the best travel backpacks on the market! If you are looking for more travel gear or curious about my personal set-up, make sure you read my Best Travel Gear 2019 Post for an in depth look at the gear I use for traveling 365 days a year! Tagged best travel backpack, best travel backpacks 2017, best travel bags, best travel luggage, best travel suitcases.